It's time for Fall Enrollment!! Register NOW!! 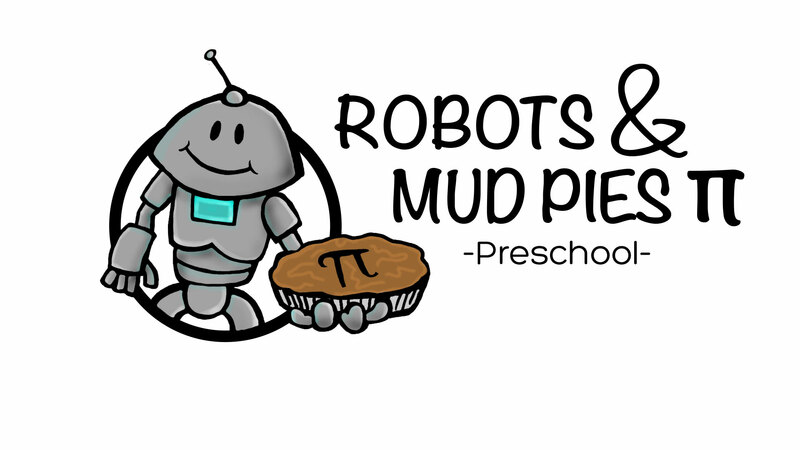 Robots and Mud Pies π Preschool is the first Science, Technology, Engineering and Mathematics Education (STEM) focused preschool in the Richmond area. We offer a half day program for children ages 2 years old through 5 years old with a morning session and an afternoon session. At Robots and Mud Pies π Preschool, we believe children are highly motivated, independent explorers and investigators who should be honored and respected for their potential and capabilities. To that end we have created an environment where children are excited to learn through hands-on experiences. Science, Technology, Engineering and Mathematics combined with Literacy, Play and Creative Activities will Prepare Your Child for Kindergarten. This Small Business is Locally Owned and Operated by Two Experienced Preschool Teachers. Flexible Scheduling Available to Meet Your Family's Needs! Choose from Morning Preschool (9 am-12 noon) OR Afternoon Preschool (1 pm-4 pm). Extended Hours also available from 8:30-12 noon or 1 pm-4:30 pm. Full Time Care available to a limited number of families (8:30 am to 4:30 pm). STEM is an acronym for the integration of the four academic disciplines of science, technology, engineering, and mathematics. Emphasizing STEM in education encourages children to think logically, problem solve and apply science, math and technology skills to equip students with the skills they need to compete in the 21st Century. According to The Department of Labor's Bureau of Labor Statistics Occupational Outlook Handbook published in March of 2012 in the Overview of the 2010–20 Projections, state employment in professional, scientific, and technical services is projected to grow by 29 percent, adding about 2.1 million new jobs by 2020. Why start STEM education in preschool? "It is my feeling that you can't start early enough: Young children are natural-born scientists and engineers. Like STEM, investment in early-childhood education is a workforce-pipeline issue. Research has shown that high-quality pre-K cuts the rate of children being held back a grade in half; decreases juvenile arrests by a third; and increases high school attendance by a third, college attendance by a whopping 80 percent, and employment by 23 percent. High-quality early-learning environments provide children with a structure in which to build upon their natural inclination to explore, to build, and to question."